All students are invited to join the Reformation week on October 17 to 20. 2016. 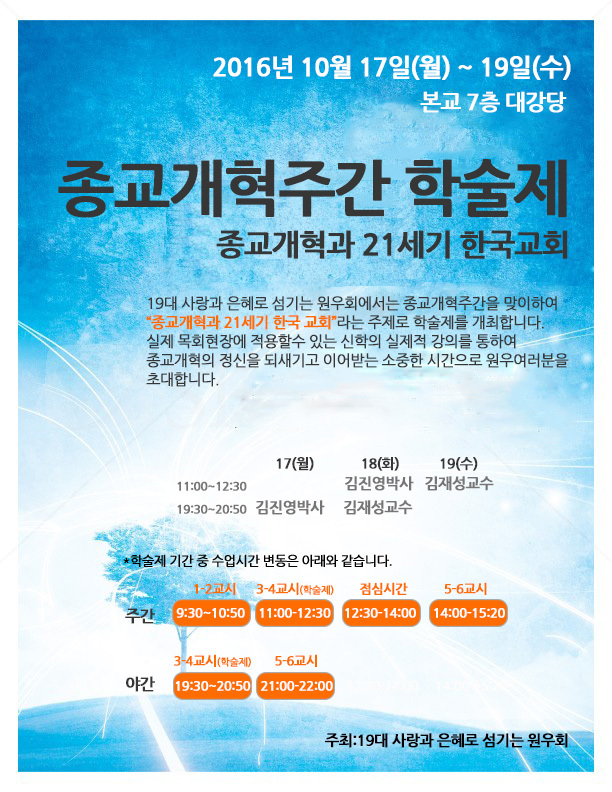 There will be a series of Lecture from the 17th to 19th at Kukje Theological Seminary and University Building. On the 20th, there will be the Annual Sports Day at Team- Vision Center from 9:30 a.m. to $:30 p.m. Everybody is expected to join!